In recent weeks, Ryan Selkis (head of Messari, a blockchain research firm) has made arguments about why Ripple’s circulating supply should be adjusted. If history is a guide, Ripple is due to disclose its Q4 2018 transparency report this week. In advance of that report, we conducted extensive research into the health and legitimacy of the currently quoted XRP [$XRP](https://messari.io/asset/xrp#profile) “market cap” available on third party crypto data services and exchanges. A) Messari has not sufficiently defended their claims on why Ripple’s circulating supply should be adjusted. B) The logic that has been applied to Ripple regarding the adjustment of their circulating supply has not been applied to every cryptocurrency in an equitable fashion, which undermines the legitimacy of this adjustment. C) The total adjustment number is not justified either. Messari has been consulted in the past by Zerononcense regarding this decision for greater clarification and, to date, the response that has been given is woefully deficient. 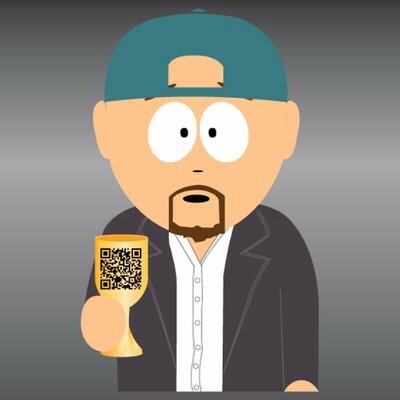 @MessariCrypto @twobitidiot Ryan was actually given a significant amount of research on Ripple that could have helped clarify things. It seems evident that he simply read it and never responded. So I feel pretty hesitant messaging you all when your own CEO doesn’t even care. Thus, this research report is being compiled and released to the general public since Messari has shown an unwillingness to amend or clarify any of its findings in their report about Ripple’s circulating supply. So, let’s dig into what’s going on here. A) Ripple’s circulating market cap may be overstated by 48%. Specifically, Messari provides a link to blockchaintransparency.org, which is a website that has provided significant amounts of false information about genuine volumes on exchanges and alleged occurrences of wash trading (another story for another day). According to that website, 100% of the volume on Binance and Bitfinex is justified and real, which are two things that we know to be demonstrably false (via numerous independent reports that have covered these exchanges). Thus, the first criticism of Messari’s report is that their claims should be backed up with evidence from legitimate sources. Its also worth noting that the logic provided by Messari in just the opening opening passage of their report provides a shaky justification for their antagonistic stance toward $XRP. While this is true, it is far from the full story. UPDATE (12th February 19:52 BST): This report has been updated with comment from Ripple. A months-long legal dispute involving distributed ledger technology startup Ripple and its co-founder Jed McCaleb has come to an end. This agreement (and the article) were inked February 2016. Given the above schedule, we can easily see that we’re in ‘year three’. Thus, Jed McCaleb should be allowed to sell up to 1.0% of the total traded volume of Ripple each day. In order to check on Ripple’s daily violume, we’re going to refer to Coinmarketcap.com. At the present moment (March 18th, 2019), we can see that the volume for Ripple ($XRP) is at $688,434,823 over the last 24 hours. The price of Ripple is also listed at $0.317238. Doing some quick math (Total $ amount of Ripple transacted / Value of Ripple), we can determine that approximately there was approximately 2.17 billion $XRP tokens that were traded on March 18th, 2019. Since Jed’s agreement allows him to sell 1% of that, Jed should be eligible to liquidate 21.7 million $XRP tokens, today alone. The problem here, however, is that if we look at the historical volume data and assess how much Jed has been allowed to sell (via the agreement he inked with Ripple), the math shows that Jed could have liquidated his entire supply at this point. Another factor that Messari did not consider in its research is the issue of fungibility versus non-fungibility. A dollar bill (USD) is fungible. That means that every single dollar bill has the same value and they are used interchangeably. While some dollar bills do look different from others, they represent the same good. Bitcoin, on the other hand, is not a fungible asset. Each satoshi has a different identity in the protocol. This was done to allow the protocol to sufficiently check for instances of double spending. Without getting too technical, this goes into the process of verifying bitcoins on the ledger. How is Fungibility Relevant in This Situation? Ripple’s protocol is different from Bitcoin in that all of its assets are fungible. So if we can double back to the Jed McCaleb example again — let’s remember that he is able to release 21.7 million $XRP tokens in this 24-hour period (March 18th, 2019). But we don’t know which tokens that Jed could sell. So how can one determine what $XRP tokens are in circulation or not? How Do We Define Circulating Supply? One of the main tenets (and perhaps the biggest meme) of the cryptocurrency sphere is ‘HODL’. This refers to the concept of simply holding Bitcoin (or any altcoin like $XRP) in order to reap the long-term reward of more money that proponents claim will inevitably come to those that are patient enough. While there are many that clearly do not subscribe to this principle, there are still a significant number of individuals that are simply ‘hodling’ their cryptocurrency in a wallet and treating it as a long-term investment rather than currency. Should these holdings be substracted from every cryptocurrency’s circulating supply calculation? Most would argue, probably not. It is almost impossible to calculate this supply (although Messari didn’t find this to be an issue because they simply guesstimated this total for Ripple). There is no way to tell when that cryptocurrency will be sold. Someone that has adopted the philosophy of ‘hodl’ today may decide to abandon this mantra tomorrow and liquidate down their crypotcurrency holdings. How can we tell which individuals will adhere to this principle and which ones won’t? The issue brought up in #2 above provides a much more cogent argument than #1, but both points are salient in this case and they both speak to a more cohesive, unified reason for why cryptocurrency being held in the name of ‘hodl’ should not be subtracted from the total supply: Someone has the ability to sell the cryptocurrency. To be clear, this report is not claiming that Messari’s position is that all cryptocurrency that is being held for indefinite periods of time by speculative investors and traders should be subtracted from every cryptocurrency’s circulating supply. This example was presented to bring out the commonly accepted idea that cryptocurrency that can be sold or moved should be counted as part of the circulating supply. So, to tie this back into Jed McCaleb’s unique case, we must factor in that Jed could have sold his entire supply of $XRP at this point if he wanted to. This claim is based on what has been publicly stated in the revised agreement between Jed McCaleb and Ripple, which was forged in 2016. So, if we all adhere to the common principle that cryptocurrency that is being held for investment purposes should not be subtracted from any cryptocurrency’s circulating supply, why is Jed an exception? Regardless of why Jed McCaleb still has 7 billion $XRP tokens (according to Messari Crypto), the fact remains that Jed McCaleb could have liquidated all of them under the agreement that he has with $XRP. However, it is worth mentioning that his failure to take action has resulted in him now being unable to liquidate all 7 billion $XRP tokens that are allegedly in his possession. As stated above, Jed can only liquidate down 21.7 million $XRP tokens today. It appears that Messari is making that argument that Jed’s inability to sell those 7 billion tokens all at once (due to the agreement) should warrant the subtraction of all 7 billion tokens from the circulating supply. This argument is simple enough in its structure and one that is fair. However, Messari must now provide additional guidelines for which limitations can be considered. What Does Zerononcense Mean by ‘Limitations’? Right now, the number of $XRP that Jed can liquidate is limited by the legal agreement between Ripple and himself. Messari also cites the selling limitations that have been placed on some of the entities that Ripple has sold $XRP too (in reference to their quarterly sales reports divulging the number of $XRP sold to institutional clients). There is no dispute that these limitations exist (although we have no idea what specific stipulations Ripple has given to their institutional clients; we’ll get to that later). But these are not the only limitations that are in place. Even if Jed had zero restrictions on his selling activity through the agreement he has with Ripple, he would not be able to liquidate down 7 billion $XRP tokens at once. Its unlikely that there would even be enough liquidity available for Jed to successfully sell all 21.7 million $XRP tokens that he is allowed to sell without seriously depressing the price. Perhaps he could, but the order books for Ripple are not thick enough to support such a sudden sell off without creating a massive sell wall (if the sell order is placed at a specific price) or a massive sell off (if this were a ‘market sell’). We know for a fact that Jed could not sell all 7 billion $XRP tokens at once because there are not enough buyers that will purchase 7 billion $XRP tokens. Given this fact, we must ask ourselves if this limitation should also be considered when calculating the circulating supply. Messari’s research unfortunately fails to address this question, making it incomplete. If Messari does choose to address this additional limitation, then they must provide a definitive answer on whether they will accept or reject it in their circulating supply considerations. If Messari chooses to reject this consideration, then they must provide an objective reason for why. While it seems as though this shortcoming in Messari’s report has already been addressed thus far, it has not. In this heading, we will not be rehashing Messari’s failure to provide an adequate and thorough enough definition for ‘circulating supply’ that can be applied universally and adopted as a standard. Instead, we will be talking about the fact that Messari only considers selling limitations. However, what if some of these entities (like Jed) elected to actually use Ripple as a means of facilitating some sort of internal/private remittance system? Now of course, when considering the actual context behind Jed McCaleb’s situation, the chances of this ever happening is next to zero. But in theory, Jed McCaleb could establish some sort of internal system where his holding of $XRP is used without him actually selling $XRP. This report acknowledges the numerous detractors of the $XRP token that have stated that it is essentially ‘worthless’. Without making a claim for or against the token, this report will simply evaluate the stated use case for the token by the company, Ripple. Now, of course, we’re playing devil’s advocate here — but if we can humor this for a second, we must acknowledge that there are no restrictions on Jed McCaleb using as many $XRP as he desires to set up a similar remittance system. The system itself does not have to be global or with other financial institutions that are in the same network. Jed could theoretically create his own network of payment conglomerates and they could use $XRP to settle transactions among each other. As long as he maintains ownership over all of the entities within his network, and the $XRP is merely used to settle payments within the same system between disparate entities that are all owned by Jed McCaleb, then he could theoretically put all 7 billion $XRP to use. This is a huge consideration that Messari completely overlooks in their research. If Messari does decide to consider this possibility, they will then be tasked with the responsibility of asking whether such a system would qualify as circulating currency. Regardless of their answer, a proper justification must follow and that justification must be consistent with all other standards and guidelines used to assess circulating supply. Perhaps the most troubling aspect of this research report by Messari is the fact that their readjustment of Ripple’s circulating supply has not been applied in an equitable manner. In other words, Messari has only been this critical of Ripple’s circulating supply while failing to apply the same level of scrutiny to any other cryptocurrency on their site. Messari also has not been vocal about the implications of their research. If Messari is to remain credible as a research platform in the cryptocurrency sphere, they must also apply the same scrutiny to all cryptocurrencies, without exception. The consequences could be significantly more severe for Proof of Work-based cryptocurrencies such as Ethereum, Litecoin and Bitcoin. Based on the implicit standards for gauging circulating supply present in Messari’s research piece on $XRP, it seems safe to assume that if Messari’s standards are applied in an equitable fashion, Bitcoin must also undergo alterations to its circulating supply as well. A new crop of digital sleuths is working with investors and law enforcement to find misplaced or inaccessible cryptocurrency. That represents nearly 1/5th of all bitcoins that will ever be minted on through the protocol and nearly 23% of all bitcoins that are currently in existence. Since these coins have been deemed ‘lost’ or ‘missing’, it stands to reason that they should also be removed from the circulating supply. If we visit the Bitcoin ‘rich list’ (provided by bitinfocharts), we can view the ‘richest’ bitcoin wallets in the world (i.e., the wallets that contain the most bitcoins). Many of the top 10 — top 25 wallets belong to cryptocurrency exchanges and an even greater percentage of those wallets are cold wallets. The term ‘cold wallets’ is a colloquialism used in the cryptocurrency sphere to refer to wallets that are kept ‘offline’ for storage purposes. Funds rarely move out of these wallets and, in some cases, they remain there for years. In the picture above, we can see cold wallets for Bittrex, Bitfinex, Bitstamp, Huobi and Binance. The picture also shows that these wallets hold a significant number of bitcoins [aggregate]. Given the nature of what a cold wallet is (offline storage that is not supposed to be withdrawn for mundane, day-to-day purposes) and Messari’s narrow definition for what constitutes circulating supply, it stands to reason that these should also be removed from the circulating supply. If they are not, then Messari’s adjustment of Ripple’s circulating supply becomes even more nonsensical and inconsistent. While this report was lengthy, it by no means summarizes all of the problems inherent in Messari’s report. However, it should serve as an acute criticism of the numerous issues lade within Messari’s readjustment of the cryptocurrency’s circulating supply. This report was also written as an attempt at establishing open commentary in the cryptocurrency community as it pertains to circulating supply, in general. While there are issues with the way that it is calculated currently on popular price tracking websites like coinmarketcap, the community may have to accept the many imperfections associated with ‘market cap’ and ‘circulating currency’ until a more cohesive, all-encompassing definition and criteria can be developed. Until then, incomplete efforts such as Messari’s only serve to further obfuscate this facet of metric-tracking in the cryptocurrency sphere. This article blithely assumes that the daily reported volume on CMC is the benchmark used to calculate how much Jed can sell each day. Since it use unknown how this is actually calculated since neither party to the agreement has publicly shared this detail to my knowledge, this article is really no better than the one it purports to debunk.